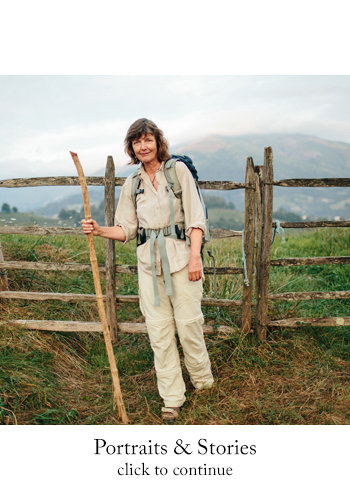 Many pilgrims, after they reach Santiago, feel they need something more. A post-pilgrimage, if you will. A time for reflection (and of course, more walking). The pilgrimage to Muxia & Finisterre brings pilgrims to the western most point of Spain. In olden times it was actually thought that this was “The End of the Earth.” Nowhere left for a pilgrim to walk. The first year I ended in Santiago I said goodbye to Chris & Babsi in the Cathedral square. I ran out of time and flew home from Santiago while they walked onward. That morning we sat at breakfast for hours until I had no time left. The three of us walked as far as we could go and hugged for one last time. As they started walking I remember smiling and waving and maybe even jumping in the air in an attempt to mask the flood that breached my face only seconds after they left my sight. I would have never guessed that one year later I would be in that same spot, alone, trying to find stories of those who were pressing on towards the coast. It took me two days to set out to Finisterre because of a slight depression and the weariness from the thought of carrying my backpack any further. I finally began at 1pm and a man immediately stopped me on the way out of town. He said I was getting quite the late start and handed me an orange. Within an hour I could already sense why people describe this walk as a necessary meditation. Galicia is a beautiful region heavy with grey clouds and dense forest. There are myths of witches and magic and the walk itself is lonely, allowing your imagination to ignite. The walk itself was generally uneventful. I was barked at by dogs and consistently rained on. I ran into few people and when I did they were German so my rudimentary French and Spanish left us to communicate with only our eyes. Finally, on the second night I met a couple from Israel who were celebrating a holiday with a traditional feast. They invited me to their albergue for dinner and we joked about taking a bus. In Muxia I arrived on a day that was set to inspire an old poet lingering at the end of his life. I sat on the rocks and took a self-portrait. The Atlantic crashed against a lighthouse. Among the boulders I found a house cat and followed its path for close to two hours. I didn’t run into many pilgrims while I was there. Those that I saw sat on the stones for hours just staring at the storms churning in the distance. I did the same, focusing on two fishermen who were battling the waves. I took a bus from Muxia to Finisterre and arrived cursing at the streets where it was terribly hot and I had a horrible headache and I found an albergue by absolute chance. I took IBUProfen and a nap and went to the beach and laughed when I saw it because it was perfect and then so was the day. I watched a man walk down a cliff and lose his dog and then find his dog and then take his dog to the tent where he sleeps on the beach with other people who sleep in tents. I walked to the lighthouse at sunset and watched people burn their boots as the sky was set on fire and realized I had finally reached a night near the end. I fell asleep and I swore off work and congratulated myself. I met a young Belgian guy who reminded me of one of my best friends and we became real friends real quick. We made ramen with a camping stove and drank wine and met a girl from Austria who had walked from Geneva and also a dog who stood on a rock at the end of the earth and everything was perfect and my heart swelled and then hurt and then I realized that moments like these are the reason people sometimes believe that our lives are being choreographed. I went to sleep and woke up and packed my bag and got a coffee with the Belgian and the Austrian and met a new German and said goodbye to the Israelis and ran into a Canadian guy, French girl, the hippie American, and a Canadian lesbian. I sat on the bus back to Santiago and let my brain settle down for the first time in nearly 1.5 months. The clouds cleared and I saw my Camino for what it was. In all of the extremes. A careful balance of struggle and beauty. Fettered with little bits of heartbreak and determination. Which is probably the way that a pilgrimage should be. I arrived back in Santiago and met a guy from Utah. We ate a chocolate truffle with peanut butter and sat beneath the cathedral for one final moment at sunset. I ran to the bus stop that leads to the airport and the streets of Santiago flashed by me as a young guy yelled my name and I shouted "Congratulations!" and I focused on the street performers and Spanish tourists and triumphant pilgrims who littered my vision in a blur until I slammed my hand on the backdoor of the bus that was pulling away and stood there, releasing the chest buckle of my backpack and feeling that sense of relief and fully expanded lungs that you only feel after carrying your life with the strength of your shoulders for weeks on a road that was made in the steps of a million other people. In a funny way I wanted to never go back to my apartment. As if crossing that threshold was the only thing that would force me back into my old life. Instead I wanted to walk. I wanted to walk down the runway, through Howard Beach, East New York, and across the Brooklyn Bridge. To Washington Square Park, through the West Village, into the Catskills, and then west through the Garden State. Into the country. Maybe even finding some of the routes I took on my bike when I cycled across this beautiful country. I would buy a backpack, sleeping bag, tent, and never look back. I could change my name, delete my Facebook. What would people think? My roommates would be furious. Too impractical. But maybe that’s the new plan? Save enough money to just disappear. Start over. I turned on my phone when we landed and waited for the flood of text messages. Letters and quips frozen in some satellite waiting to explode down into the palm of my hand. The flood didn't come. It was a re-initation of sorts, but also a reminder that relationships are two-way. When you are gone... people adjust. After ten days, June 7th, nobody was texting anymore. Just as in Burgos, panic set in. Was I gone for too long? Did I not write enough postcards? I messaged some close friends and my sister to let them know I survived. Immediate responses. Immediate release. The real world is much harder than the Camino. You can’t just take a day off and wake up in a new life. Starting over takes a lot of work. A lot of selfish soul-searching work–mostly rooted in my own insecurities in finding the perfect place to call home. When I got out of the subway I was in downtown Brooklyn and two guys were blasting hip hop from a stereo pointed out their rear window. It was a hot summer day and people were in tank tops dancing around the van and playing in the water from a fire hydrant. I breathed in New York like I was seeing it for the first time. I realized I didn’t need to change everything around me to start over. To disappear. My community in New York would force the changes I was looking for to come from within. “You're stuck,” I thought. It will force you to settle down, take roots, grow. But if I ever felt like I was losing myself in all of the commotion–unable to find that person in the present I became on the Camino–I knew what to do. Just take a walk. A long walk. Sometimes I think returning home is dangerous. Normally you can’t sense the parts of your life that are slipping away. Unless someone breaks up with you or passes away or gets fired from your office, human connections are rarely severed so quickly. They fade slowly with time. But when you return home from traveling you can sense it all. With every second you are losing something. A direct connection to the emotion you felt when you were on that cliff or cursing that fly or falling in love with that night. Now and then I will be in the middle of a conversation and realize I am looking right through the person to the wall behind. Not because I am disinterested but because I need to retreat back into my head and attempt to hold onto those feelings for just a little bit longer. Still, with every day of work and email and texting and coffee and drinks I can feel it all falling as my old life fills in the holes that it leaves behind. I think this is a mix of lament for what I left and an expression of a need to go back – but mostly I think it is a rare and visceral awareness of nostalgia as it is happening.